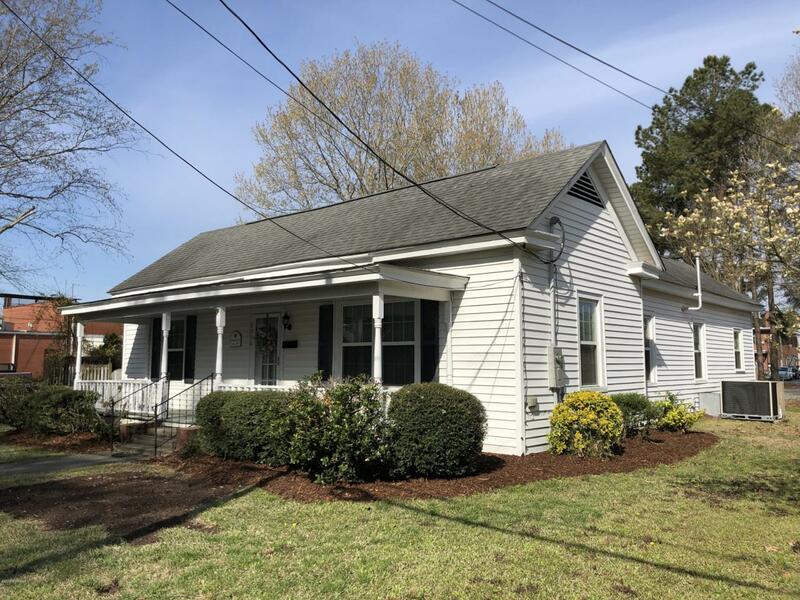 Charming 2 bedroom, 2 bath home located in the heart of Farmville. This home offers original hardwood flooring in spacious living room and bedrooms. Gray kitchen cabinets with wood tops, updated bathrooms, and a gorgeous hallway with bead board ceilings that give you that farmhouse feel. Also has replacement windows and gas pack was installed in 2018. Fenced in back yard with a deck and patio. Just in time for you to come and enjoy the dogwood festival! Listing provided courtesy of Amanda Hightower of United Real Estate East Carolina.